Activision has announced that Skylanders Swap Force will be coming to next-generation platforms as well as current-generation consoles, meaning you'll be able to play with your Skylanders toys on Xbox One. Vicarious Visions is developing the game for home consoles, which includes both Xbox 360 and Xbox One. Swap Force adds new toys with interchangeable body parts to create different combinations of abilities and powers. Swap Force's 16 characters' legs and torsos can be switched out, making for up to 250 different combos. They can also climb, fly and teleport, which is nice. The game will require a new Portal of Power too, which is not so nice. 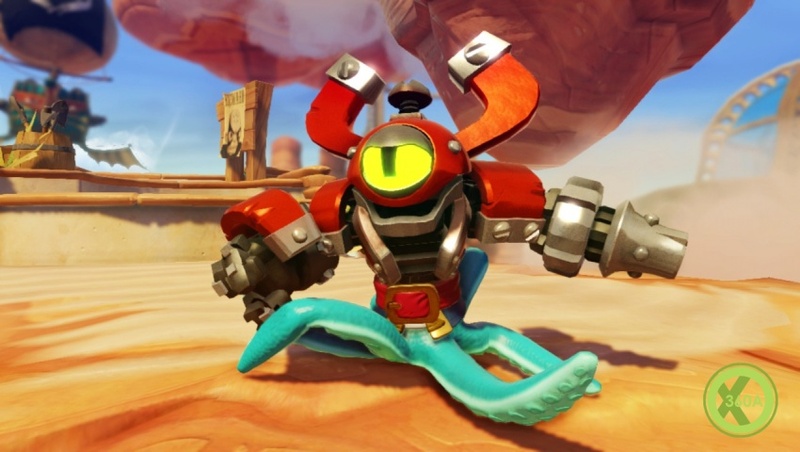 Skylanders Swap Force is coming to Xbox 360 on October 13th in North America, October 16th in Australia and October 18th in Europe. A date for the Xbox One version is TBC.